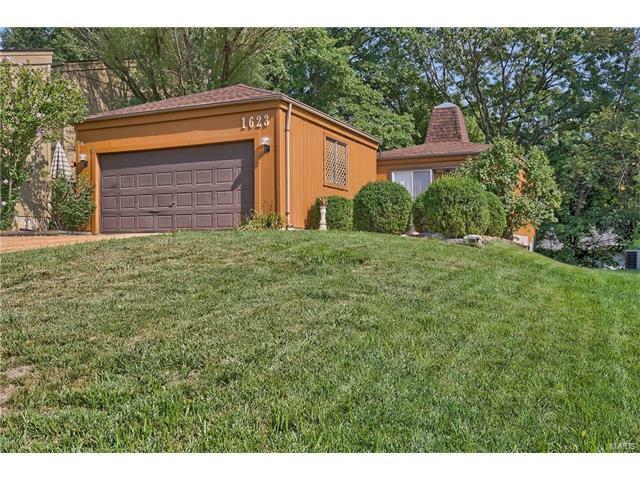 Welcome home to this dynamite 3 bed, 2 bath ranch nestled on a quiet street in Manchester! The well-manicured front yard welcomes you in to a world of privacy complete with tons of natural light and a nicely treed backyard. Just a few of the of the updates include: Newer deck (2016), updated kitchen, newer siding and roof (2015/2017), main-level bathroom updated (2016), lower-level Bathroom renovation (2017), newer AC (2015), and the list goes on and on! All the updates you have been looking for on top of being a stone's throw from the local pool/tennis courts, great shopping/eating, and pristinely located between 141 and 270 to get anywhere in St. Louis in no time?? This one really won't last long. Act quickly, this is the one you've been looking for! No Showings until Open House on Sunday, 8/20, from 1-3pm!